The scenery across Bottle Cove where massive cliffs line the coastline and the town of Little Port sits peacefully along the banks in Newfoundland, Canada. 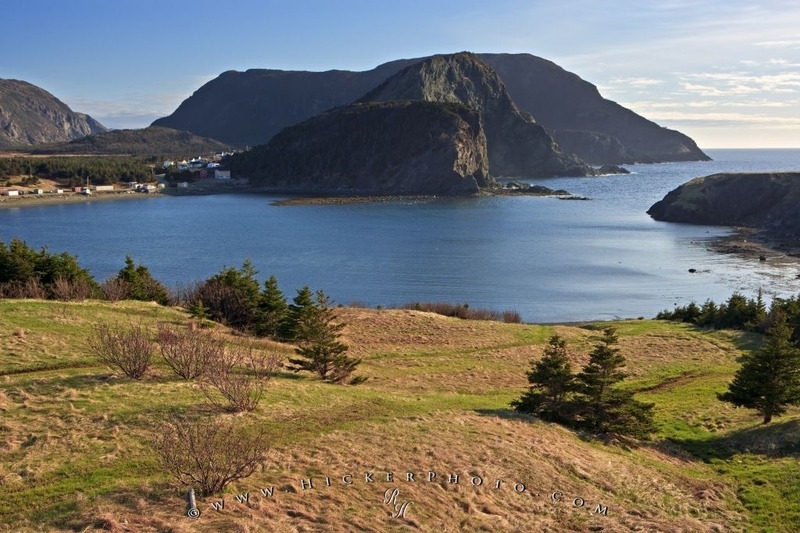 Photo of Bottle Cove, Newfoundland at the end of Humber Arm near Lark Harbour with the town of Little Port nestled on the coast. ... You will find beautiful coves, bays and beaches along the coastline of Newfoundland.View across Bottle Cove towards the townsite of Little Port at the end of the Humber Arm near Lark Harbour, Newfoundland, Canada. I photographed this photo with the digital SLR camera model Canon EOS-1Ds Mark II, aperture of f/6.3, exposure time of 1/125 sec. on ISO 100, as always I used a original Canon Lens, the focus lenght for this picture was 42mm.